Following is a message Secretary DeVos should receive from concerned citizens of Ohio. Public education in the U.S. is a function of each state, not a function of the federal government. Historically, the federal government has provided supplemental assistance to states in specific areas such as vocational/technical education, special education, disadvantaged pupil aid, etc. Civil rights issues have also been addressed by the federal government. 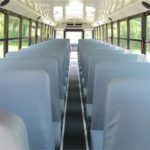 In recent years, beginning with No Child Left Behind (NCLB), federal policy began to undermine the education provisions of state constitutions by imposing federal policies on states and ultimately on local districts. NCLB has invaded every board of education and every classroom in America. Test and punish schemes, school closings, school personnel displacements and firings, charters and other privatization tactics have been subtly and often blatantly imposed on the states and school districts of America. The feds have given preference to privatization options to the detriment of traditional public schools. Each state has one or more constitutional provisions for a system of public education. Public education is a state responsibility-not a federal responsibility. Secretary DeVos, you should honor state constitutional provisions and use federal resources to assist states in meeting their respective constitutional responsibilities in developing and maintaining their state systems of education. Redefining public education as any education that serves the public is a complete disregard of the Ohio Constitution. The system of public education takes into consideration the needs of all school children as well as the needs of each child. Secretary DeVos, your definition, “any education that serves the public” lacks any regard for the quality of education. Your marketplace mentality for education provides no protection for students. It transfers public funds and public trust to private individuals that are largely shielded from transparency and accountability.